According to legends, he was a companion of the Prophet Muhammad and lived for over 700 years. Baba Ratan twice visited Mecca and met the Prophet on both occasions. He is believed to have seen the miracle of splitting of moon with his own eyes. There is controversy as to whether he embraced Islam or not but there is no doubt that he spent considerable time with Rasul Allah. The first reference to Haji Ratan in Islamic literature dates back to twelfth century. Several Hadith collectors traveled from as far as Andalusia and Central Asia to collect the supposed traditions from him. Abu Marwan Andalusi, a Spanish Muslim chronicler, visited Haji Ratan and penned an interesting sketch of him. When he arrived at the Baba’s monastery, he was taken aback to see an ancient, wrinkled man, his cheeks covered with hair ‘as white as cotton’. The Baba addressed him in a language he could not understand. When he heard the translation, Abu Andalusi came to know that Baba Ratan was present in Medina during the famed Battle of the Trench./He was just fourteen years of age at that time. When the Prophet saw him laboring at the trenches, he blessed him with a long life. His name is mentioned by Ibn Hajar Asqalanl in his’ Asabafl Marifati s-Sahdba’ and also by A'dh-Qhahabiin his ‘Tajrid’. Ibn Hajar calls him as one of the companions of Rasul Allah. 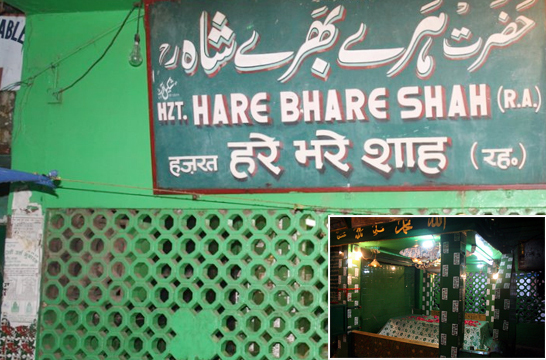 Baba Ratan is said to have died in 1234-5 A. D. and lies buried in his present shrine at Tabar Hind(former name of Bhatinda). 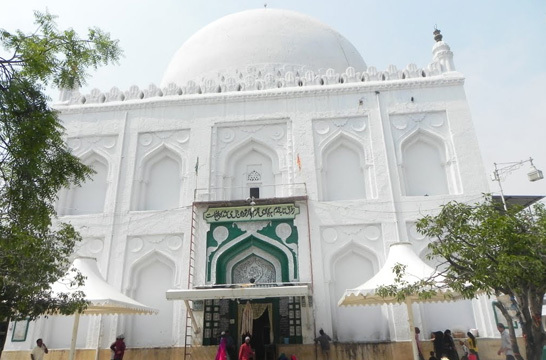 Mazaar, Pir Baba Haji Rattan of Bhatinda city represents the multi-cultural facet of Punjab. This place of worship is open to people from any religion. This mausoleum is located between the grain market and the Civil Hospital and has a peaceful atmosphere. "Pir Baba Haji Rattan" has represented India as its ambassador in the sacred city of Mecca. "Pir Baba Haji Rattan" answers the prayers of everyone from any religion who seeks his blessings. So the city of Bhatinda worships the "Pir" as an existing God.